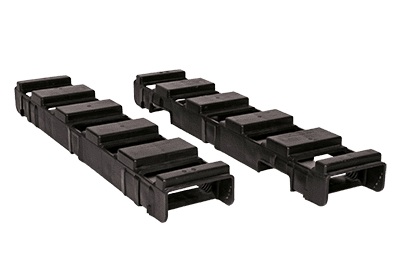 BagPal Plastic Pallets | Drader Manufacturing Industries, Ltd.
BagPaliT plastic pallets are a sustainable product that outperforms wooden pallets in multiple ways. With rising fuel costs, companies are striving to adapt their operational practices in an effort to save money. Aside from durability, BagPaliT plastic pallets have a significant weight advantage over their wooden counterparts. A wooden pallet can weigh anywhere from 20 to 25Kg. BagPaliT weighs less than 4Kg, meaning, if a company ships a 26-bulk bag truck load, they can move about 520Kg more product with BagPaliT without extra cost. Fuel savings for companies with their own trucks also add up. BagPaliT has multi-reuse channels, making this FIBC accessory a sustainable product. Other advantages include space savings. BagPaliT units occupy less volume than wooden pallets. After bags are filled and properly placed on BagPaliTs, they can be safely stacked on top of each other, or put into storage on certified warehouse racks. Request a quote for more information, or to order your BagPaliT today.